For context, let's review a point made from a previous post on DTM. This comes from the article, Breakthrough: A Few Thoughts on Manifestation. At the level of manifestation we are discussing, you could say that a certain amount of faith is required. This is not so much the religious faith that some of us may be thinking of. Rather, this is the ability to see and know that our goals are possible to achieve despite the fact that our physical eyes cannot yet see the change we desire. This level of faith almost involves disregarding the tangible world for the sake of our vision. However, this is not to say that we should ignore the world altogether, or that we should ignore an obstacle in front of us that we might trip over. It means that with regard to our desires, believing that what we want is already in our possession, and that our desire has already manifested, even to the point where we don't have an emotional “need” for the things we intend to manifest. Is it really practical to long for what we already have? Then why would we be impatient for something like Disclosure or the mass arrests of all cabal and their minions? Why would we desperately desire for first contact if this contact is already happening before our eye? In other words, in order to manifest that which we desire, our emotional state must be that which we would have at the moment we actually possess the thing we wish to manifest. Click below for the latest updates by Cobra. This is the amazing experience of actualizing our desired intentions which we can have on an individual bases. Now, let's explore the possibilities of a collective effort of meditation. For those who are not yet familiar with the scientifically documented affects of group mediation (and even those that are familiar), this should be an interesting read. The ability of a group of individuals to energetically effect the world around them is a well-documented fact. 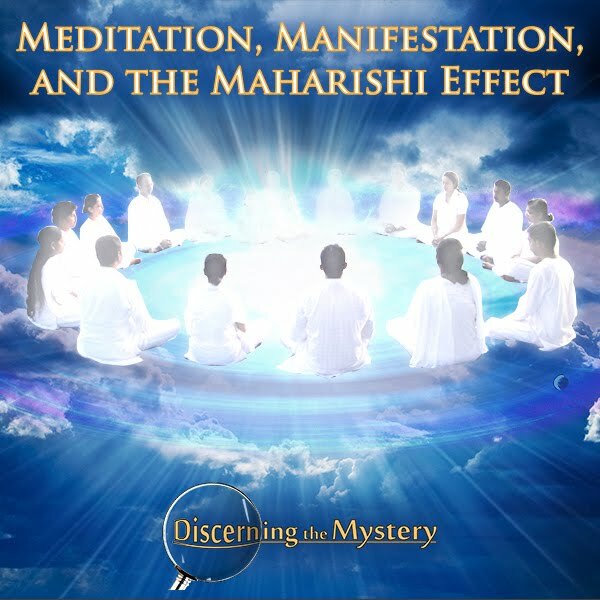 Many refer to this phenomenon as the “Maharishi effect” or the "Meditation effect." According to Maharishi University of Iowa, this effect can have some very noticeable results. The scope of this Maharishi effect will depend upon the size of a population, as well as the size of the group meditating. The above example is only one documented study. Rest assure, there are many more with even more impressive results. This goes to show that when we meditate, there is a tremendous impact upon the world around us. The Maharishi effect is a regular subject of study at the Maharishi University of Management, an educational organization dedicated to what is referred to as Consciousness-Based℠ education. Along with your typical regiment of educational requirements, MUM offers a type of transcendental meditation that is said to increase the potential of the individual, and thus enhance the educational experience. You can find out more on MUM by visiting their website at the link below. For more information on consciousness and how it relates to our brainwave frequency, click the link below.